We are starting off 2018 with a new series that may be of interest to some of you. The “PC to Mac Journey” series is a place where we will be sharing our long and slow transition from living on a Windows machine (basically forever) to running everything we do on a Mac. We will also be starting up a second topic where we go over the transition from using Sonar for music production to using Logic Pro X. We are far from experts on either topic. Maybe along the way, we will share something useful to you and we really look forward to learning from you folks regarding better ways of using these tools. We are complete “noobs” on both macOS and Logic at this point. Back in early December 2017, we posted about the demise of Sonar. Santa was good to us this year and brought us some new hardware and software to replace the Windows-based PC that we have been running Sonar on. We are not here to debate the pros and cons of Windows and Apple, simply to share what we learning as we go through the transition. We started on Windows way back when it was called Windows 3.0. That was right around May of 1990. Since then we have used just about every version and release both on the client and Windows server side. Why? Basically, because our employer was a Windows shop. We were fortunate enough to be able to work from a home office for quite a few years and that pretty much locked us into also running Windows in our home office. Linux, Mac, Solaris, etc. were not allowed to connect to the corporate network from an outside location. We were MORE than willing to accept that condition in exchange for working from home vs. going into the office daily. Now, why did we switch? As we mentioned in the post above, Sonar is a dead horse and the other half of IMMusic is already running on Mac. While we have been doing things in a mixed environment for some time, it’s going to much simpler for us to run the same h/w and s/w in both locations. Let’s take a look at our first steps to bring the new iMac online. We have our desk positioned in the middle of our office. 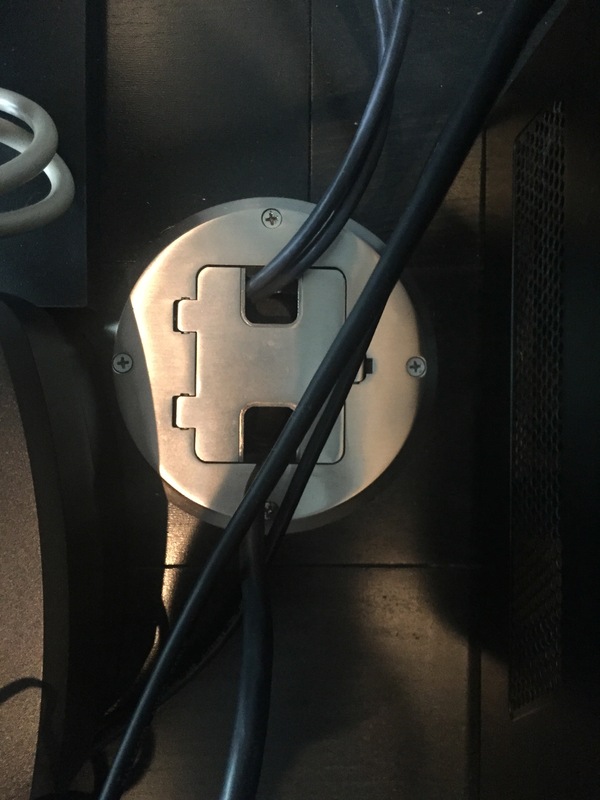 Next to the desk is an in-floor receptacle for power and also two ethernet connections. In the past, we have had two Windows machines on the desk. One was our “daily-driver” and the other was more or less in a server role. Those two ethernet drops were just perfect and all we needed. No cables running across the floor. Enter the new Mac and we have our first challenge. Three computers but only two ethernet connections. Sure, we could run a cable across the room to get to our network gear or even run one of the machines with a wireless connection. Not really a fan of wireless so we opted to repurpose an old router that we had and use it as a network switch. 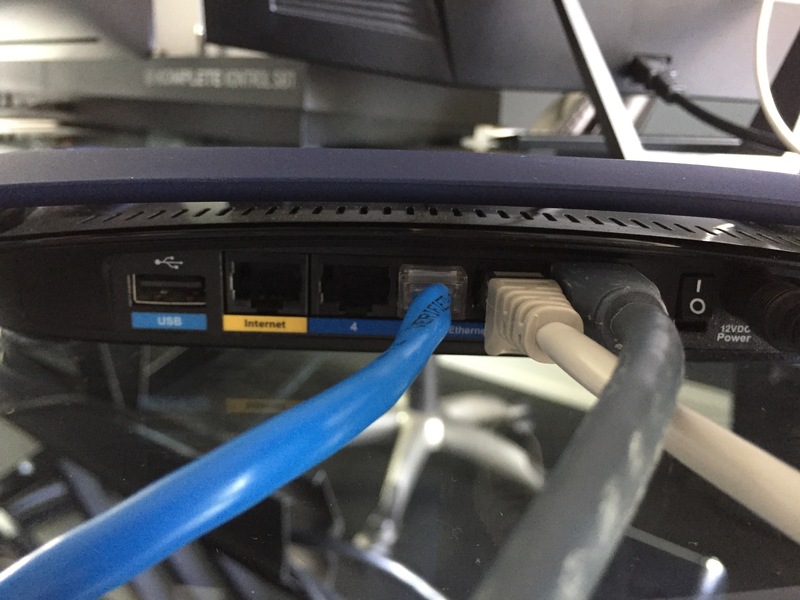 As we migrate data and workload from our Windows machines over to the Mac we will eventually retire the Windows server, free up one of the ethernet connections and remove the old router (now running as a small switch) from our configuration. 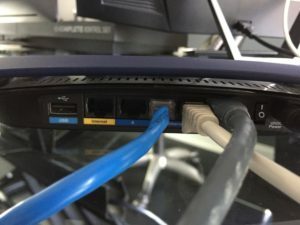 If you have an old router or two laying around and would like to add additional ports to your LAN check out this article for the complete steps needed to make the conversion. Fairly simple process and allows you to keep hard-wired connections in place vs. running wireless. I’ll start by admitting that I am not too computer literate. Prior, I have always used Cakewalk that morphed into SONAR. Apple store on three different occasions to get instructions from the expert on Logic Pro X.
with Logic. I gave up on that project & hope that my SONAR never dies. As you know we were also running on Sonar for many years and we were quite happy with it. A few years ago Ric moved over to Mac and Logic and that did add a little extra work when we would transfer projects back and forth. We are pretty embedded in the Apple ecosystem with everything except the PC that I was using. When Sonar went belly up it was time to make the move to Mac and Logic. Between having the same DAW config Ric and I also have 90% of the same VST’s and also the same keyboard controller so transferring music projects back-n-forth now is super nice. No clue about the lyric question you brought up but I’ll take a look and see what I can find out. I’ll let you know.